Engage presents a range of fresh and irresistible fragrances that keep the chemistry between him and her sizzling for 24 hours. 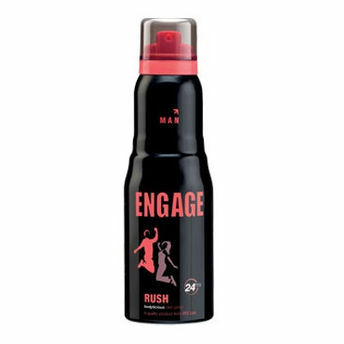 Engage Rush offers a bold, modern & youthful fragrance. The playfully bold and unusual combination of fruity pineapple with vanilla and sweet notes exudes sensuality. Its strong signature makes a man attractive and fun to be with.